Filmmaker, Laura Poitras, had been working on a film about surveillance for two years when she was contacted by someone using the name “CitizenFour”. He reached out to her because he knew that she had been the target of US government surveillance and had steadfastly refused to be intimidated. CitizenFour revealed that he was a high level NSA analyst and that he could expose the massive amount of surveillance of Americans (and others). Poitras then persuaded him to let her film him. Poitras along with Guardian journalist, Glenn Greenwald, flew to Hong Kong to meet CitizenFour - aka Edward Snowden. CitizenFour is a truly remarkable documentary and one that I would highly recommend. It is incredible to be in the hotel room with Poitras and Greenwald and hear Edward Snowden tell his story. The film feels like a thriller - it almost doesn’t feel real. As we all now know, Snowden had a disturbing tale to tell. That, in the aftermath of the terrorist attacks of 11 September 2001, the US government used complex surveillance techniques to spy on the lives of ordinary American citizens. This film shows you just how much information is collected - via emails, texts, internet searches and telephone calls. It is all extremely unsettling - to put it mildly. I started watching this film with the opinion that if a government wanted to spy on me that would be okay - but they would be in for a pretty boring time. If you have nothing to hide, there is nothing to fear - right? Or is there? By the end of CitizenFour, it was clear to me how dangerous such levels of surveillance are. For if ever we need to protest about our governments, the technology now exists for such a protest to be quashed before it has even begun. And that is deeply worrying. I loved watching the real time logistics in CitizenFour. We are there with Poitras and Greenwald as they discover the story of a lifetime. They then have to think on their feet. How should they present the story? How far should they go? 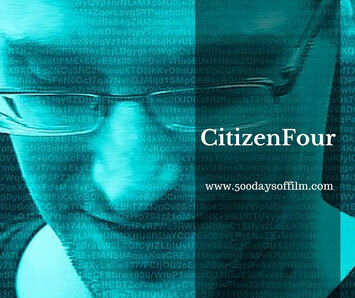 When should the identity of CitizenFour be revealed? This is no easy feat for either the journalist or the filmmaker. They are as aware as Snowden that, once they let the genie out of the bottle, none of their lives (or the lives of their loved ones) will ever be the same. They will likely be on a government watch list forever more. This adds an even greater layer of tension to a film that is pretty intense already. I found that, throughout CitizenFour, I couldn’t take my eyes of Edward Snowden. I was trying to get a sense of the man - to understand his true motivation for coming forward. However, by the end of the film, I realised that this didn’t matter. What matters is that Snowden did come forward and he came with proof, with evidence. He says in the film that he doesn’t want to be the story and, in many ways, he isn’t. What is more, we shouldn’t let him be the story. That would be to ignore what has (and probably still is) been going on. As soon as CitizenFour had finished, my mind was buzzing with the implications of what I had just seen. I really enjoyed the way Poitras had told the story but the bigger picture seemed almost too overwhelming. I think I need to watch this superb documentary all over again. I found the scenes with William Binney, a crypto-mathematician who served as Technical Director at the NSA, absolutely fascinating. Binney worked for the NSA for over 30 years. He designed much of the infrastructure for automating the Agency’s worldwide surveillance network. He retired in 2001, after raising concerns about domestic surveillance. Glenn Greenwald’s NSA reporting won the Pulitzer Prize for Public Service - an award he shares with Laura Poitras. I quite fancy reading his book, No Place To Hide, on his time spent with Edward Snowden. 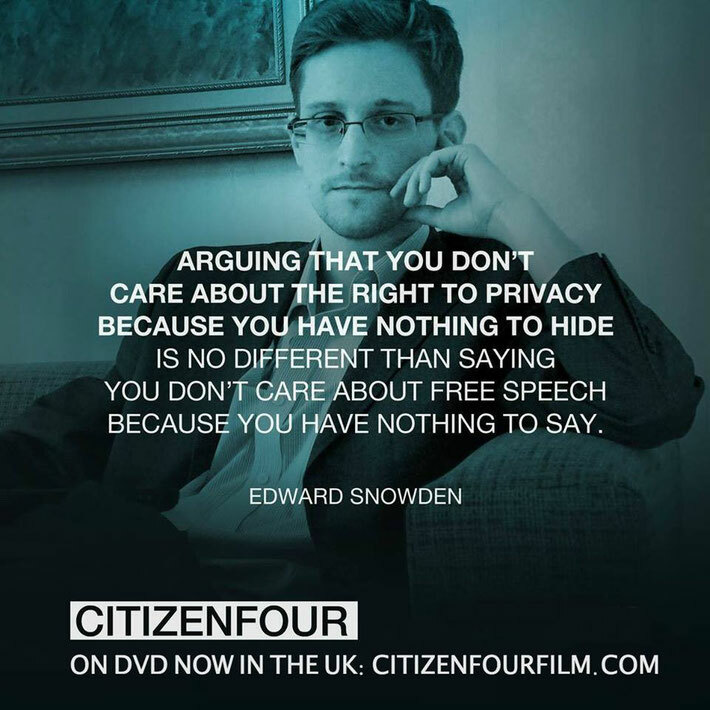 Have you seen CitizenFour? If you have, I would love to know what you thought about this documentary. Do leave me a comment in the box below!